On the morning of day 9, we went to a driving range to play golf. Well, technically I think it’s called practicing your swing rather than playing golf. I’d never been to a driving range before and it was so much fun. I liked the fact that you don’t have to walk around a golf course, or hit the balls into holes. You just stand there and whack them. Seina was a little bit too small to swing a golf club, but she seemed to enjoy hanging out at the driving range. After the golf session, we had a bit of a look around Palmerston North. They have a shopping mall called The Plaza. And a park in the middle of the city called The Square. In The Square, we saw lots of ducks. And some sculptures. And a bike which was sitting in a pond that was shaped like a butterfly. There was a big map of the Manawatū on the floor. This is the way we came yesterday. Today we’ll be driving along this road. And this is the route we’re planning to take on day 25. 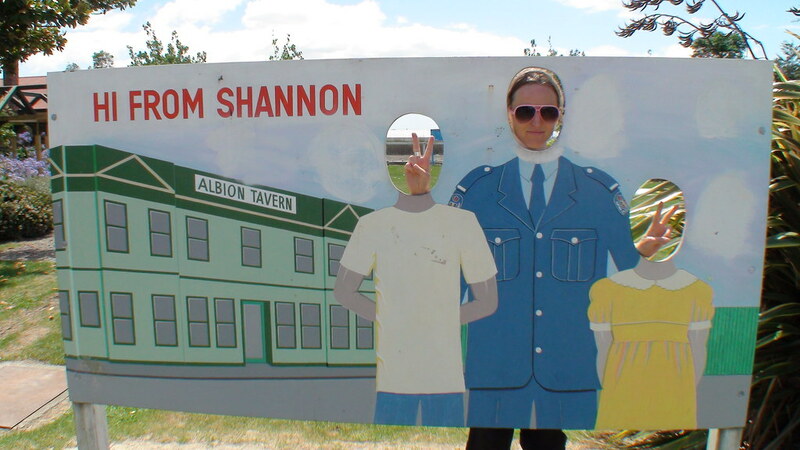 On the way to Wellington, we stopped in a town called Shannon and cleaned the windscreen and took a few photos. 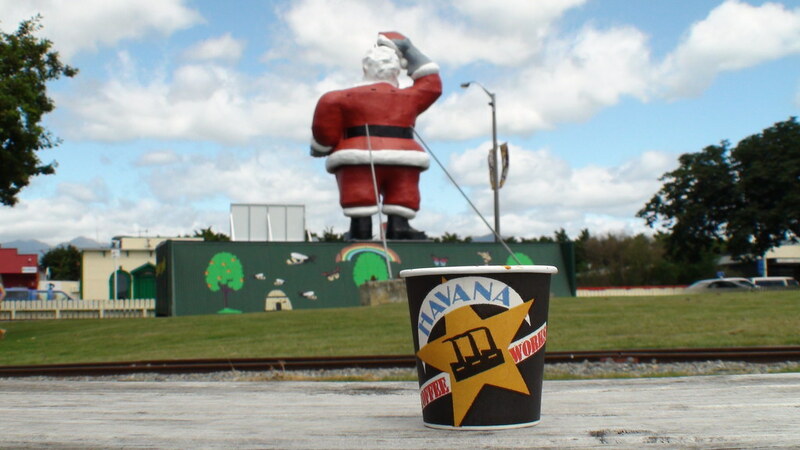 In Levin, we bought some coffee from a truck next to a huge playground. It was awesome. We came across the first really slow traffic of the trip in a place near Wellington called Otaki. 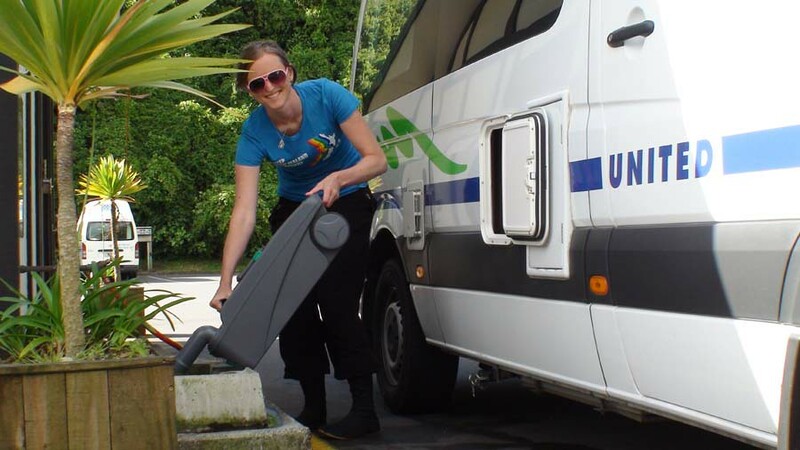 That night, we stayed at the Capital Gateway Campervan Park, which is a few kilometers from the centre of Wellington. In the evening, we drove into the city to have dinner with some friends. Wellington is the capital city of New Zealand. I lived here for three years when I was studying at Victoria University, so driving through the city bought back lots of memories.